Hey awesome people! This is my first Android game and I would love to listen to your comments, thank you! This Christmas Santa needs your help to deliver the gifts to the children! 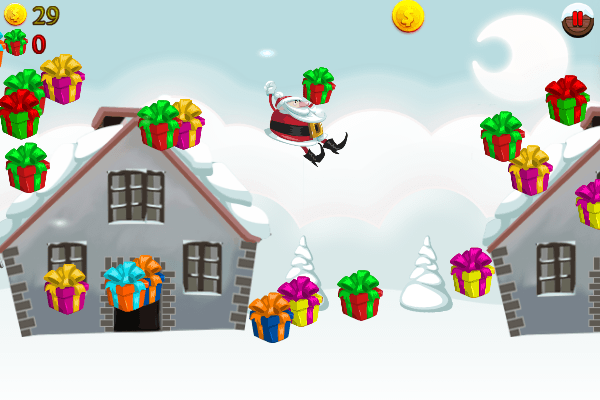 Jump from gift to gift, collect the bouncing christmas presents and deliver them in the chimneys to make kids happy! And don't let Santa fall to the ground! Highscores! See the rankings and find out who is the best delivering gifts?! Play as six unlockable characters. Including Santa, jumpy elves, reindeers and the Three Wise Kings! 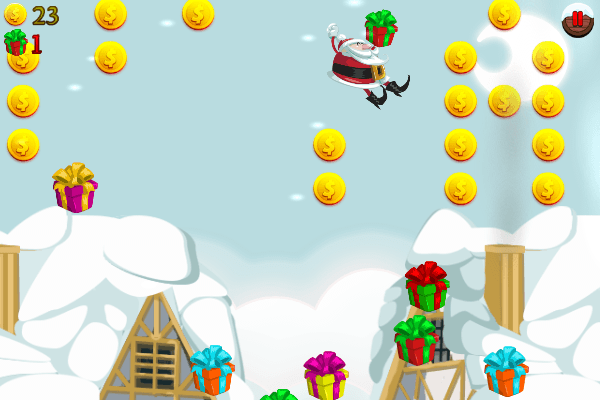 Use Power Ups to help Santa in your christmas jump adventure: COINS x2, GIFTS x2, MAGNET and SHIELD. - Tap the screen to make Santa fall fast and jump higher! Merry Christmas and awesome jump to the New Year!